HELLO! 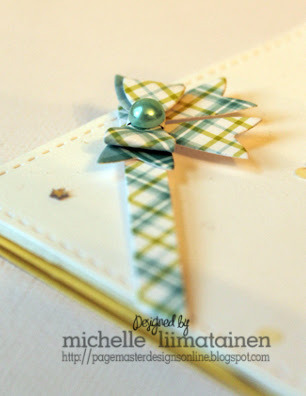 I am back today and for the first time ever I am playing along over at the Lawnscaping Blog! Why I have never done this challenge blog before is beyond me. I never used to enter many challenges but I am really into them right now so you will be seeing a lot more of them. Today's card was for my Mom for Mother's Day. 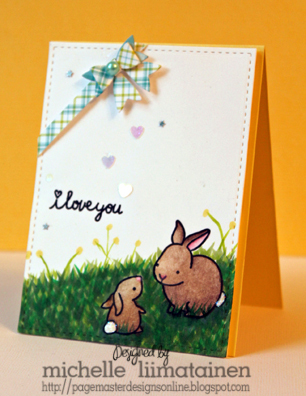 I adore these bunnies from the Hello Baby set. I have made a few cards with this set. I love it. I kept it really simply as I didn't want to detract from the rabbits. 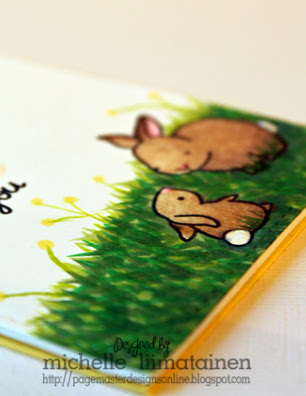 I colored over the bottom of the bunnies to make it look more like the were sitting in the grass rather than on the grass. It about killed me though. I was so afraid I was going to end up ruining it. It took me a day or so before I actually came to grips with it and decided I liked it. Whew! Would have been such a bummer if I hadn't. 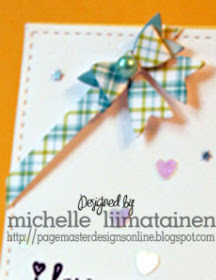 I made a little bow banner with the Paper Smooches Little Bow die using the Lawn Fawn 6x6 plaid paper. I love these papers! I need to have many of those 6x6 pads in my life. I use them all the time! Close up of the grass. I should add that I am waaaaaay late on the Copic Bandwagon. I have just recently really started using them and learning how to use them after owning them for like 6 years. I am taking some self paced courses on them. I have always been a Prismacolor colored pencil girl, which the bunnies were colored with, but these books I am following to learn Copics are really changing my thinking on this. I am doomed. Actually my wallet is doomed. My husband better hide the credit card now because I have a list a country mile long of Copic Colors that I NEED! ha! 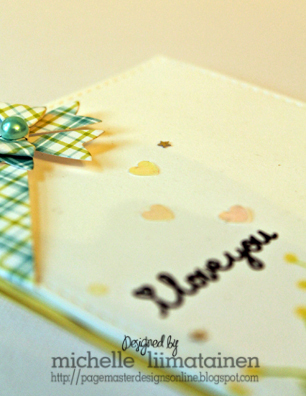 Some very simple sentiment stamping (Paper Smooches Word Salad) and some Lucy's Little Things bring this card all together.